We headed out to UFC again today with the MSG150 crew back at full fighting strength. Today's conquest: Noodle Zen. Noodle Zen is a relative new comer to the food court and is apparently a local chain. We were excited to see how it stacks up. Disappointing. Thats the best word I can use to describe this place. The chicken wasn't bad. The noodles and the sauce weren't good though. 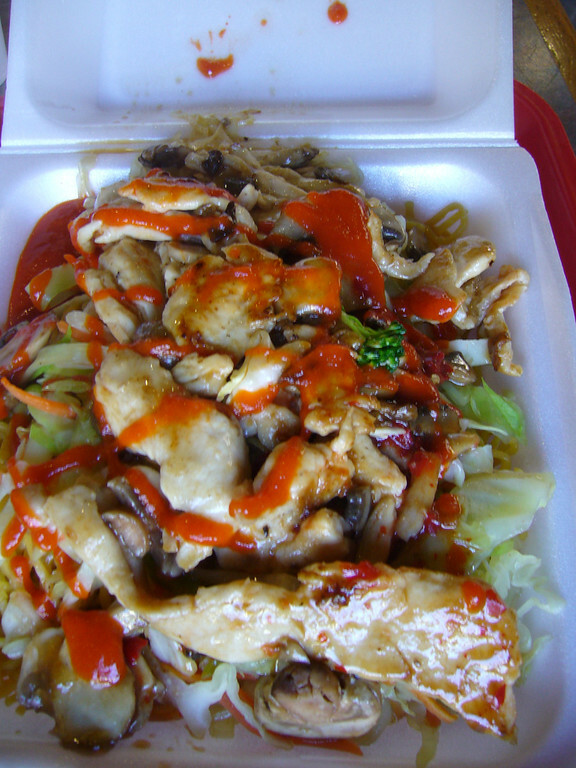 The sauce was too sweet, and I was disappointed in the amount of pepper involved in their Pepper Sauce. The noodles were bland. When in the UFC don't feel bad to skip this place. I rank it only slightly above Uwajimaya's chef Kenzo. Garbage. Noodle Zen looks good on the outside - you pick your noodle, your sauce, and your meat. Then they ladle a spoonful of butter all over it. A little hot sauce - gonna be good right? It's NOT. 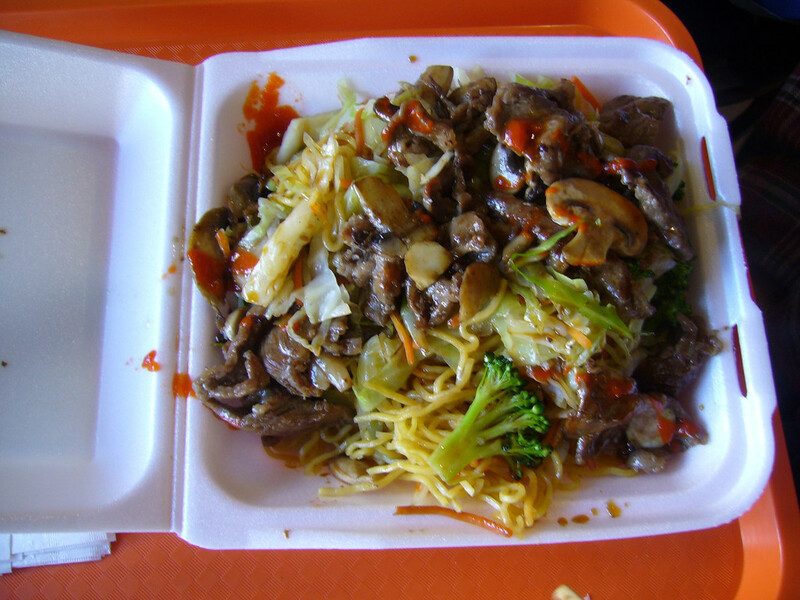 The noodles weren't good, the sauce wasn't good, the meat wasn't good. At least I had something good to drink. 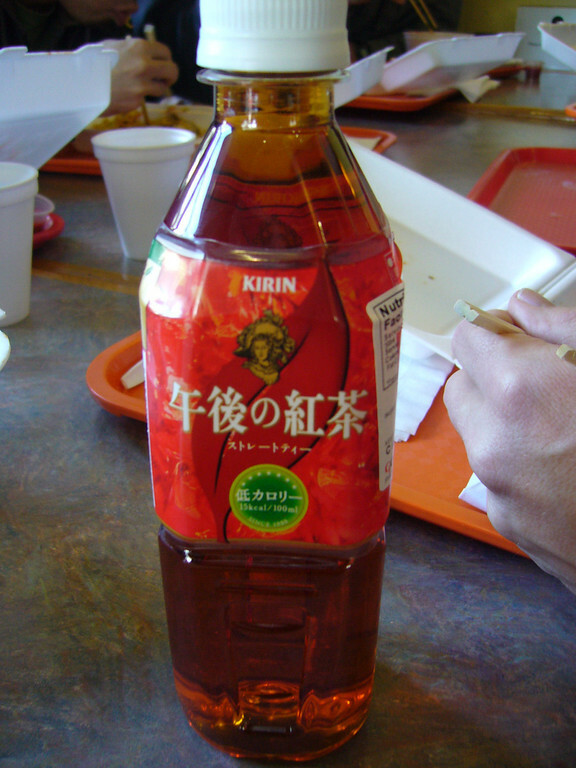 This time I got a Kirin Gogo-no-kocha Tea. It makes me want to stand on the beach and yell "HA" for no reason. Or, with a great power, float up to the sky and scream "Lu la la, We'll ride on the winds of the universe!" It was good, I recommend it. 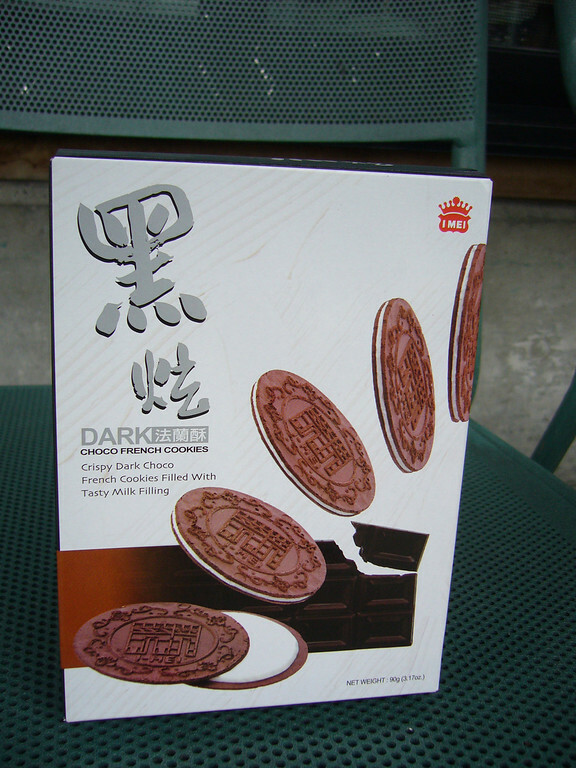 For dessert I got Dark Choco French Cookies. These little suckers were tasty. Unlike Oreos, they were thin, and big like a coaster. Back to Noodle Zen: There is no reason to ever come to this restaurant. Noodle Zen takes a building-block approach to lunch. Build your own lunch by picking from three noodles, three sauces, and five "meats". This gives something like 750 lunch options. 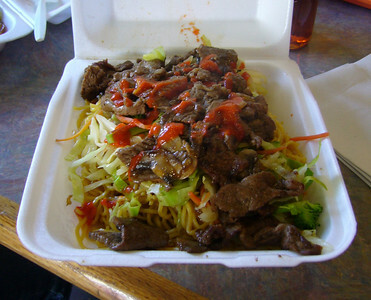 My math may be off, but it's way too many to comprehend, so I went with one of the 4 fixed options, Thai Beef Noodle. As it turns out it was essentially Pho. 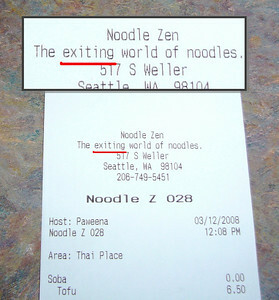 The receipt declares that Noodle Zen is "The exiting (sic) world of noodles." Clearly a typo, but I'm not sure it would make any more sense if they had gotten it right. Exciting world of noodles? Really? Is there any world in which noodles could be called exciting? Yummy maybe, but exciting seems like a stretch. 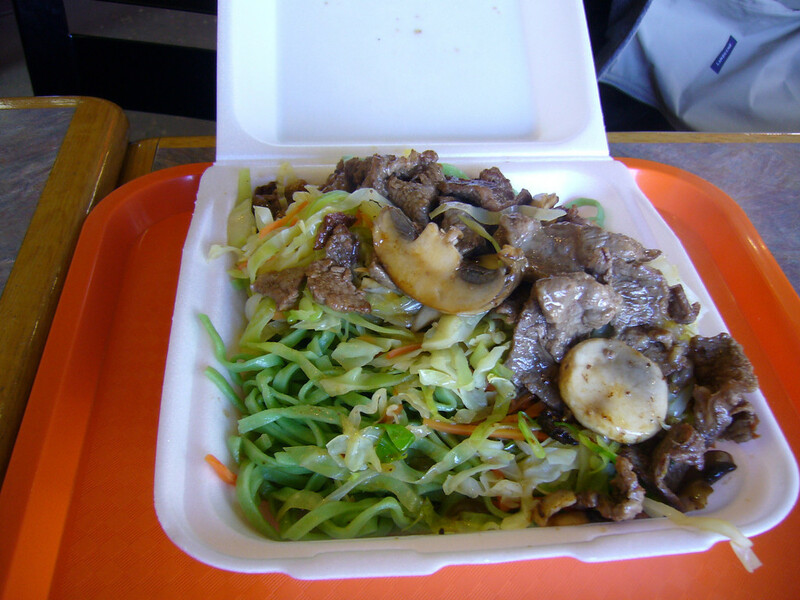 As for the food, the broth was nice and sweet and beef was reasonably tender. I have had much better Pho, but it was certainly a passable lunch. Noodle Zen is one of my reuglar lunch spots at the Court. I'm a big fan of the big green vegie noodles all fried up with ginger sauce. They prepare it right in front of you on a big flat grill. It takes about 3 minutes and there will be no question of freshness. There are no heat lamps here. 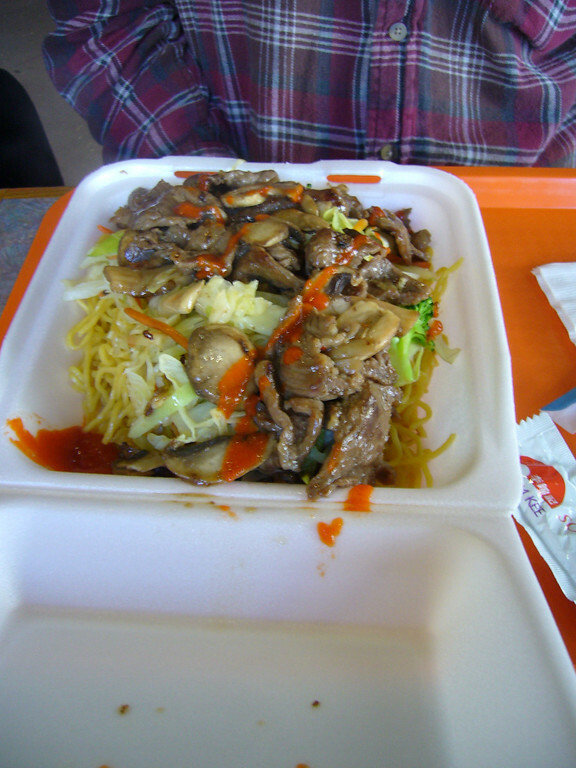 Sizzling hot beef or chicken. Some vegies and the fresh fat green noodles. I see that my fellow lunchers are not as big a fan of the NZ as I am. They are but n00bs. You can tell because not one of them ordered the juicy green noodles. Typical N00b mistake. 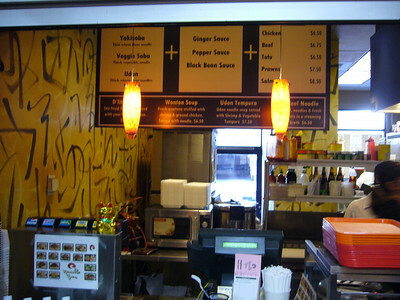 Ignore their low ratings and go to the Noodle Zen and have good a good lunch of warmth and freshness. Share your lunch with a friend for it is big and of great value. 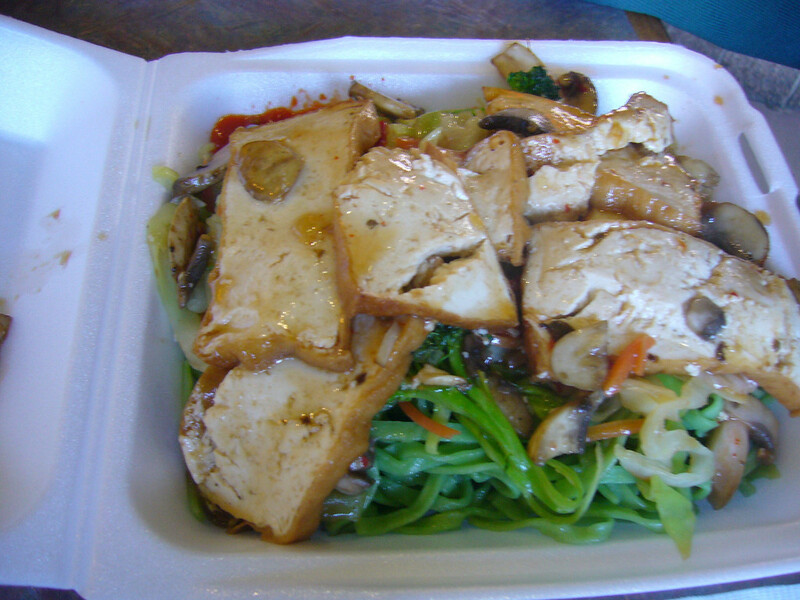 In theory, Noodle Zen seems pretty good: you get your choice of noodles, you add your choice of sauce, and you add your choice of meat (or tofu, in my case). Every time I hear someone mention this place, I think of this theoretical noodle dish and nod appreciatively, but the few times I've been there (today included), the whole ends up being less than the sum of the parts. 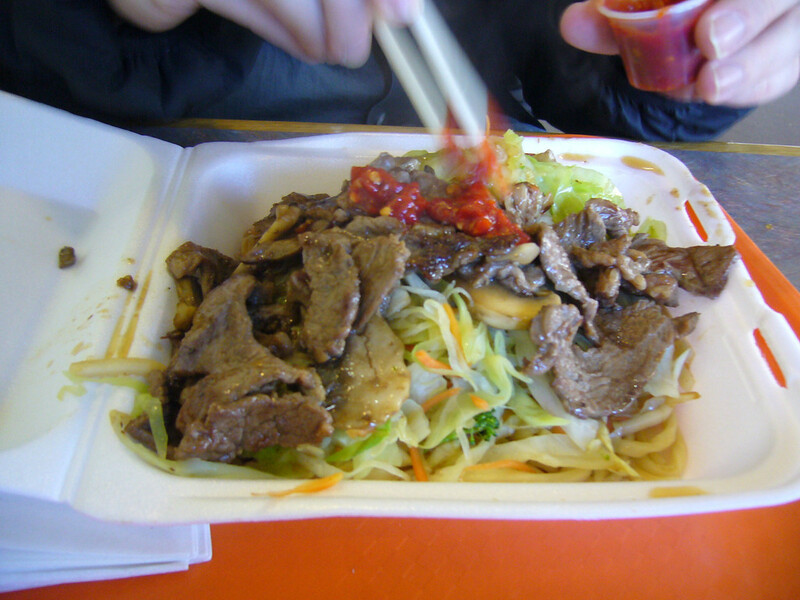 Today's dish was a bit better than other days because I added a good helping of hot sauce, but the noodles had a sweet tang to them (was the pepper sauce made from sweet peppers? ), which I didn't really like. 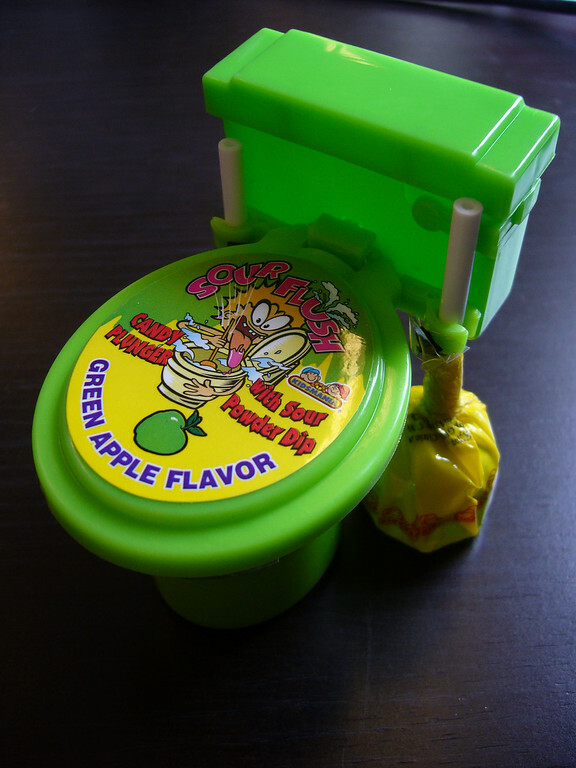 The veggies were mostly flavorless. 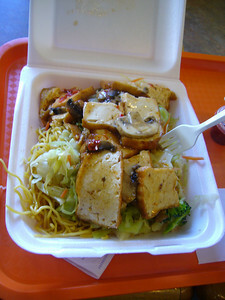 The thin wedges of tofu with mushrooms were pretty good. Unfortunately, there's no attempt made at meshing these three main ingredients together -- they're just heaped one atop the other. 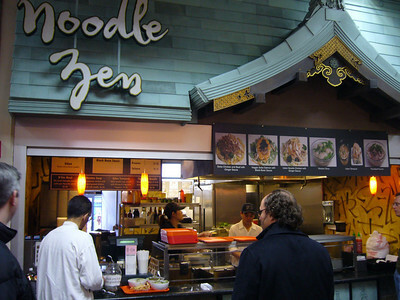 So, if you're in the mood for some assembly line noodles, head to Noodle Zen. If you're in the mood for good noodles, head somewhere else. 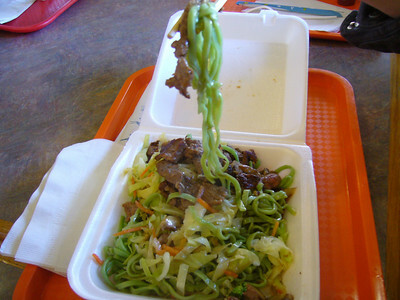 Noodle Zen has some potentially interesting food. 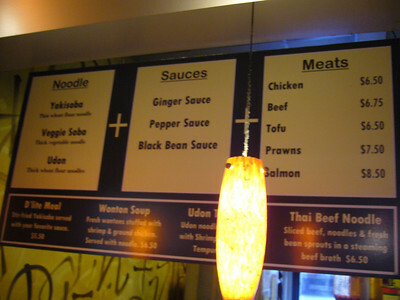 You can pick your noodle, sauce and meat/not-meat. They also have a few noodle soups. 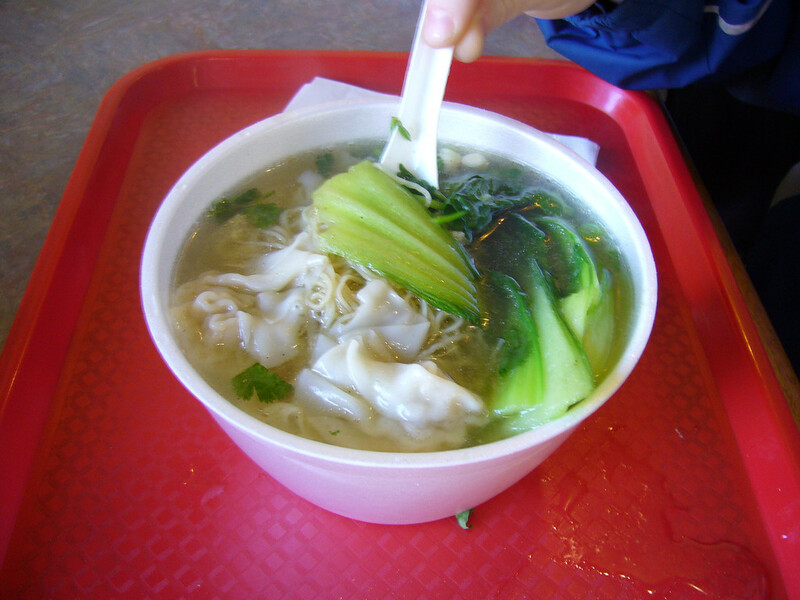 I picked a Won-ton Soup (6.50), with noodles. 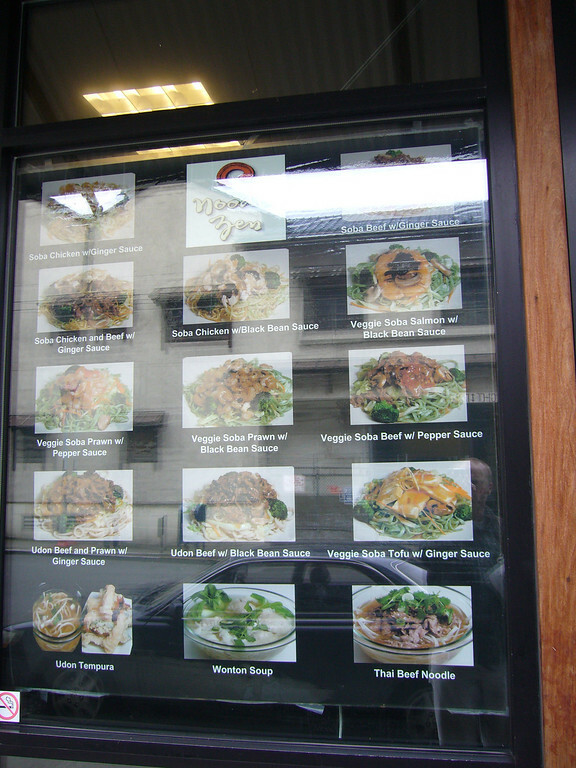 They had some examples of the dishes by the cash register in those weird plasticy mockups. The won-tons were stuffed with shrimp & meat (chicken, I think) and it also came with thin wheat noodles and a peppery broth. There were also a couple stalks of over-cooked bok choy. 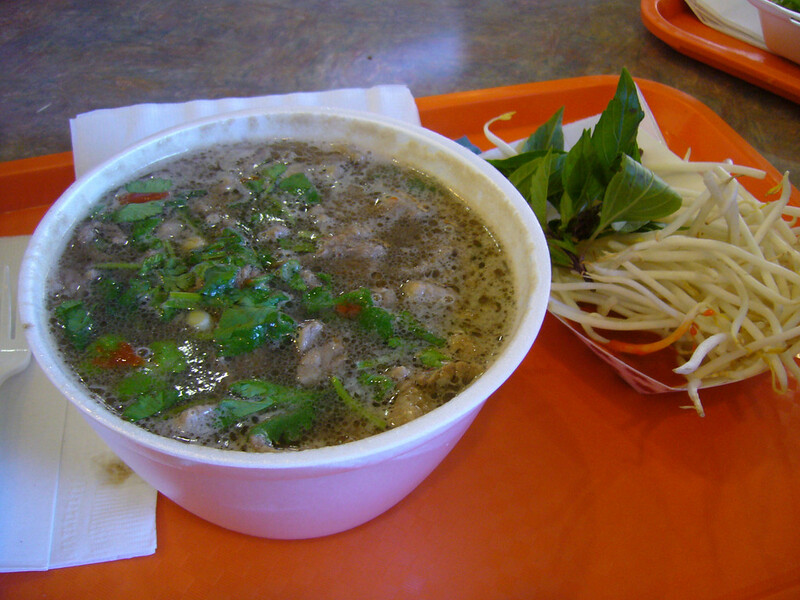 The broth, other than being a little heavy on the black pepper, was thin and flavorless. 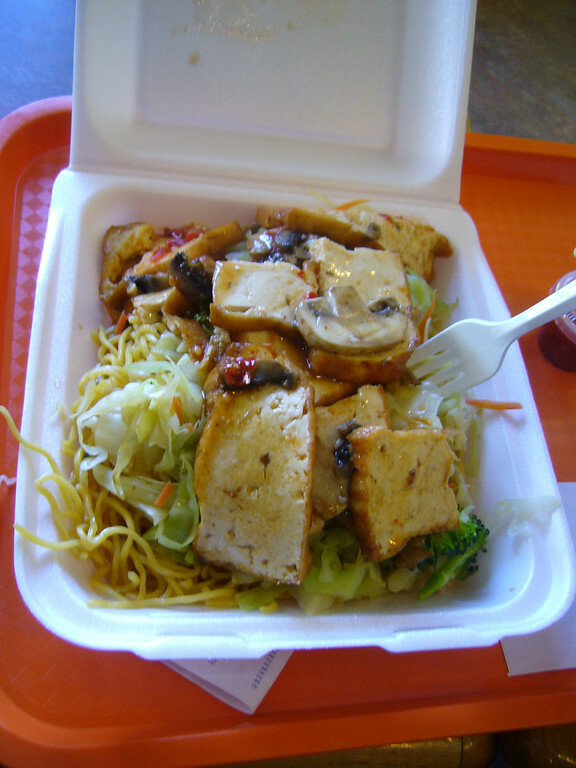 The won-tons were over cooked - the noodle covering was mushy. 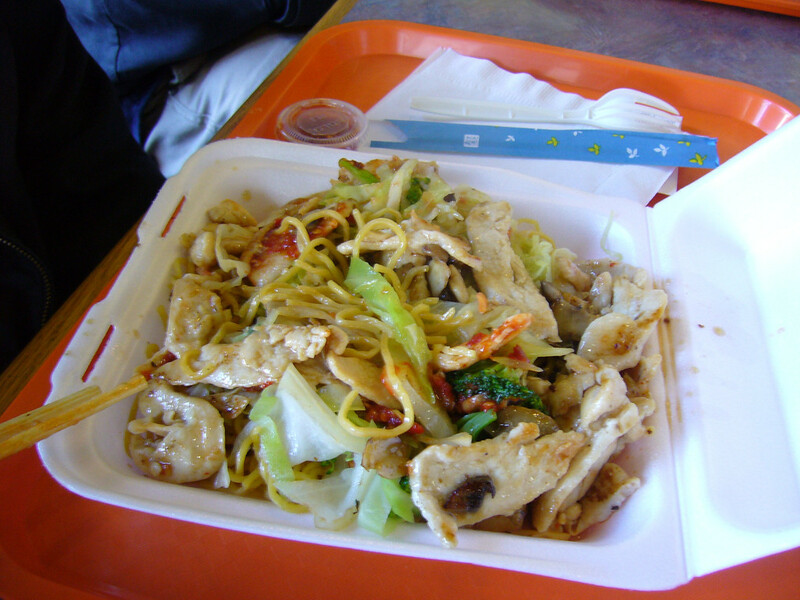 While I liked the type of noodles used, overall the dish was bland and dull. I would not return to the food court for this. The good news is, I bought some Pocky to share with my office, and I didn’t have a heart attack walking back up the hill. 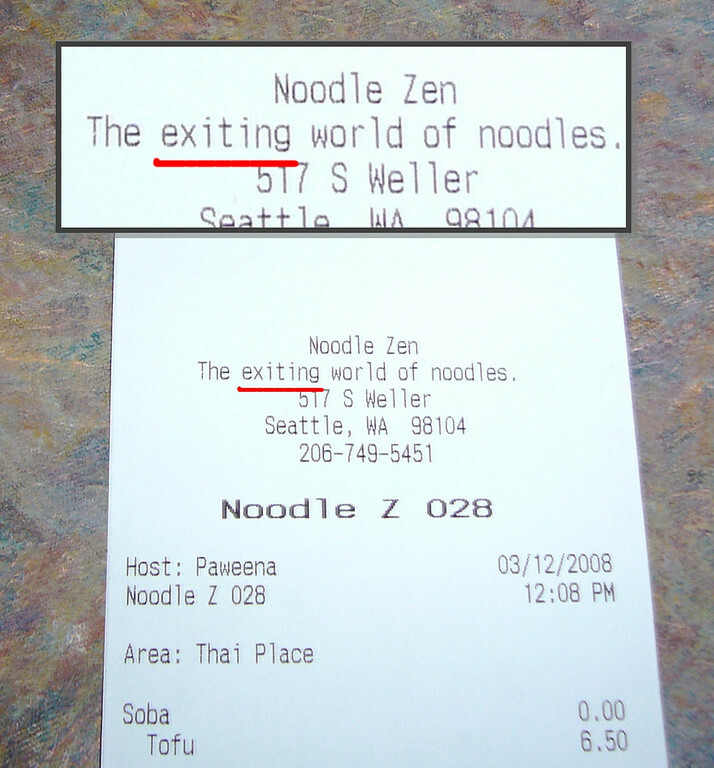 Noodle Zen - The exiting world of noodles.